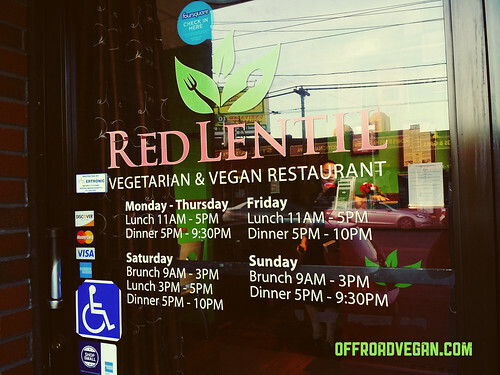 On a recent trip back to Boston, I was lucky enough to stop by the Red Lentil Cafe in Watertown. The restaurant was popular and highly rated on HappyCow so I parked on Auburn Street, and headed in for dinner. The space was very bright, clean, and well laid out. I was happily surprised at how busy it was. The tables were set up mostly for couples which lent a nice ambiance to the place, and the bright colors complimented the friendly service. 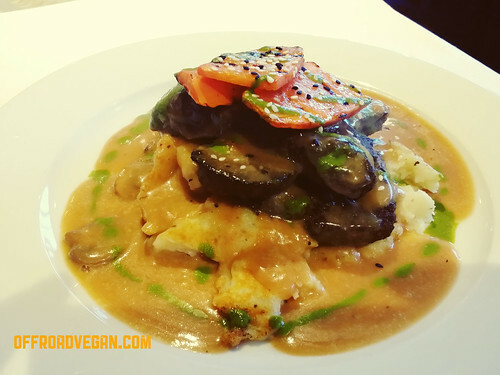 My main – a delicious, hearty meal! While slightly on the expensive side at just under $16, the dish was very hearty, had amazing flavor, and I felt was a great choice. 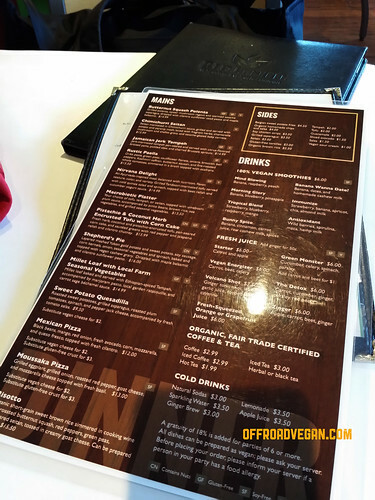 Other items on the menu that caught my eye included the Nirvana delight, Shepherd’s Pie, and the “Pistachio & coconut herb encrusted tofu with corn cake.” Next time, Red Lentil, next time. Having just landed at Logan, I opted for water as my drink pairing, but I was happy to see their “soft drinks” were mostly juices. Their smoothie options were also impressive. A very well balanced menu. 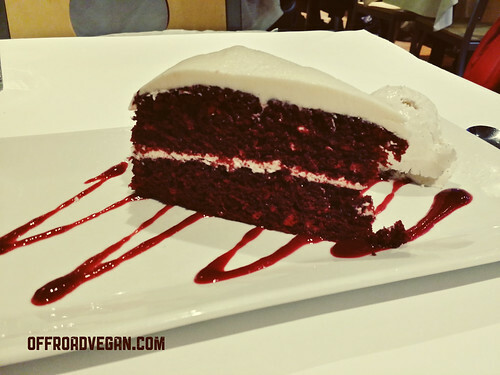 Of course I saved room for a massive share of their Red Velvet cake! It was perfectly moist and had just enough sweet frosting. And, since it is vegan of course it was good for me. 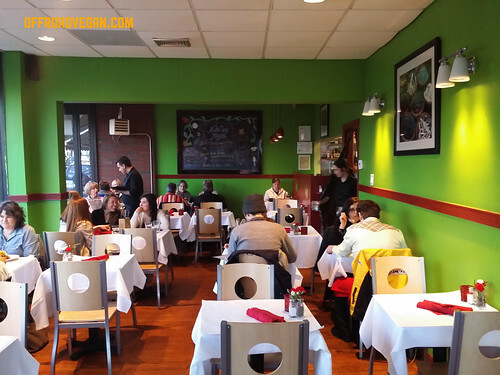 With a great ambiance, easy location, fantastic service, and amazing dishes, be sure to make Red Lentil a stop on your next trip to the Boston area!